Harvest Global Investments (known as Harvest Investments) is a knowledge-driven Investment banking firm that offers a broad range of specialized services that include Business, Project, Financial, Investment and Legal advisory to its valued clients on issues of Private Equity, Venture Capital, Corporate Finance, Mergers and Acquisitions (Domestic and Cross Border). As a leading global specialty Investment Banking Advisory Group, Harvest Investment's strength lies in our employees. We have more than 80 people serving customers in more than 20 countries and we all share a common goal: the creation of good chemistry. We have offices in India, UAE, USA, and UK. Harvest has consciously focused on industries like Cleantech, Healthcare, Technology, Infrastructure, Manufacturing, and Service businesses with transaction ranging between $25MUSD and $2BUSD. Harvest is a sector agnostic Global Investment Banking Advisory firm; Our group and our advisors having completed over $12BUSD in transactions. Harvest's client base includes Public and Private Corporations, Multinational Companies, Private Investment Groups, Family Offices, Individual Investors, Management Groups, Leveraged buyout firms, Venture capital firms, Commercial banks and Non Banking finance companies. 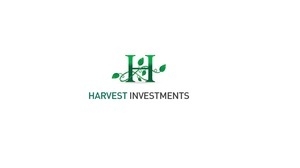 Harvest Investments takes an objective approach with respect to each assignment that it handles by analyzing its client's financial, commercial and legal implication and actively working with the management in recommending alternatives. Harvest Investments is known for its ability to succeed in complex situations with our vast knowledge of the markets (domestic and cross border), and our ability to harness competitive forces to help our clients achieve the best outcomes. Our success depends both on high qualities of services and on professionally managed and reliable business processes. This is the reason why quality is our main concern. However, the only way to reach top-notch quality in our business is permanent struggle for quality and engineering of stable procedures. It is impossible to reach high quality standards without dedicated personnel striving for flawless operation of processes and projects in their daily life. We also take pride in stating that we are the safest bet for our clients to fall back in case of financial crisis. We have the expertise and know how to steer our clients from the roughest of weathers, in other words we can undertake even those debt funding cases which might have been refused by most of the others in the market. 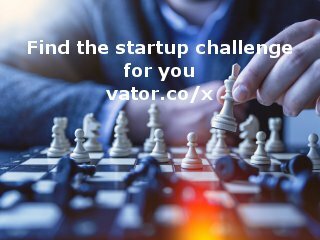 It is our quest to bring business revolution by means of creating an easy channel of funding to score of small businesses trying to make a mark in the vast geographical stretch. Since its inception, Harvest Global Investments is offering customer focused financial services and range of investment solutions to its customers. We closely work with our clients to understand and meet their financial and investment objectives. Harvest Consultants facilitates its customers to trade in all the market segments. We keep our client list completely confidential and therefore will not share any of our clients list, their projects, informations on their transaction, etc., without their permission.